Jimmy LaRose, founder of the Inside Charity website and co-founder of the National Association of Nonprofit Organizations & Executives, continues to be a controversial figure in the nonprofit sector. However, I have refrained from addressing his statements that trouble me. LaRose recently copied portions of one of my recent blog posts, altered their intention, and purposely misattributed them to someone else in an article he wrote attacking the Association of Fundraising Professionals. When I confronted him with what he had done, he admitted to and defended his actions. Furthermore, he refused to apologize or delete the article at issue. In his last email to me, despite the fact that I never mentioned NANOE in my communications to him, he wrote, “NANOE’s Board of Directors has directed our staff to forward all your communications to counsel.” Do you think he might have sent me that message in an attempt to intimidate and silence me? Well, you deserve the truth. Therefore, I will not be silent. I published my blog post “Are Donors the Hidden Enemies of Charities?” on April 16, 2018. On May 6, 2018, the LaRose article “Is There a Secret Reason AFP (Association of Fundraising Professionals) Is Hating On Donors?” appeared at Inside Charity. In my post, I reported on the findings of The Harris Poll survey report conducted for AFP and The Chronicle of Philanthropy. While I recognized that most donors are good people, I did point out that some donors do bad things. The Harris survey found that 25 percent of women and 7 percent of men, who are members of AFP and who were surveyed, report having been the victim of sexual harassment. In the cases cited, 65 percent of the perpetrators were donors. In his article, LaRose attempted to discredit the survey report though he offered no evidence of his own. Neither AFP nor I are demonizing all donors. We are simply giving voice to the survey respondents who have said that donors sexually harassed them. 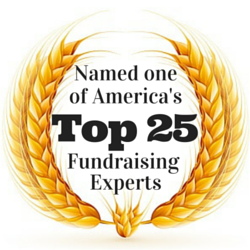 This is a real problem that some of our fellow fundraising professionals have faced. It’s something that we should not ignore. 1. Have the organization’s board adopt a sexual harassment policy. If a policy already exists, it should be reviewed with an eye toward improving it. The policy should define sexual harassment (regardless of the source), map the reporting process, and explain the consequences of harassment. The policy should also make it clear that no donation is worth mental or physical harm to staff or volunteers; people should be clearly valued more than money. Where is it appropriate to meet with a prospect or donor? When should more than one person from the organization meet with a prospect or donor at the same time? When dining out with a prospect or donor, who should pick-up the check? What prospect or donor behaviors should not be tolerated? How should misbehavior be treated in the moment and following an incident? 3. Procedures should be adopted for providing feedback to prospects or donors who misbehave so that they understand that their missteps are inappropriate and unacceptable. 5. As part of training, make all staff and volunteers aware of the problem. For example, share the Harris Polling report with them along with a printed copy of the organization’s sexual harassment policies. 6. Re-assure staff and volunteers that they will be fully supported, and that they will not be penalized or lose their jobs for filing a legitimate complaint. To the best of my knowledge, the AFP IDEA Committee has not adopted my questions to guide its discussions. The questions I posed were clearly mine and mine alone. As I stated in my post, the questions are just some that should be addressed as nonprofit organizations discuss their own policies and procedures. I did not ask AFP to impose such a requirement on nonprofit organizations. It would have been foolish to do so because AFP has no mechanism for such an imposition even if it wanted to issue such a mandate. By twisting the intent of my words and by providing incorrect attribution, LaRose has erected a straw-man. Again, no one at AFP, including Mike Geiger, have endorsed or adopted the points I made in my post. However, that does not stop LaRose from suggesting otherwise. What AFP has done is simply share a link to my post with its readers. AFP is an organization that embraces diversity. That means it is willing to expose its members to varying views on a broad range of issues. I assume that when AFP shares content, it is not necessarily endorsing that content beyond suggesting it is a point of view worth considering and discussing. The other part of LaRose’s statement I want to address is his claim that fundraising professionals can take care of themselves. Well, The Harris Poll report suggests they need some help from their employers. The recent Presidents Club situation in the UK, the Silicon Valley Community Foundation situation, and other cases suggest charities need to do more institutionally to protect people. LaRose’s assertion is out of touch with reality. LaRose’s statement seems to imply that those who are victims of sexual harassment are to blame for not taking care of themselves. Am I reading too much into his statement or is LaRose essentially blaming the victims? No donation is worth mental or physical harm to staff or volunteers. Now, I’d like to take a few moments to summarize the exchange that’s taken place following publication of LaRose’s article. Geiger used an official AFP twitter account to endorse these provisions and publicly announced the formation of a committee to address them. Furthermore, YOU ARE AFP in that you are an AFP member. No retraction, no withdrawal, no apology. By the way. I admire you and your work. As you can see, LaRose admits to the misleading attribution of my work, tries to justify the misleading attribution, and then attempts to further mislead people by saying, “YOU ARE AFP…” It appears to me that LaRose wants readers to think I’m an instrument of AFP. Well, once again, LaRose is wrong! I am no longer a member of AFP. I dropped my membership some time ago to avoid the potential of a conflict of interest as I am a blogger. I am also not a member of NANOE. I’m free to write about anything I want and share any view I want, supportive or not, without being beholden to any organization. Simply put, LaRose’s attempt to discredit me by implying I’m simply an AFP mouthpiece fails. Michael, in that, you’ve indicated you are a journalist and have created a public record via email and social media making accusations and demands on behalf of Michael Rosen, MLInnovations, Association of Fundraising Professionals and Michael Geiger NANOE’s Board of Directors has directed our staff to forward all your communications to counsel. Was LaRose innocently telling me that his hands are tied, and that he is no longer free to communicate directly with me? Or, did LaRose intend his message to intimidate and silence me? In any case, it does confirm that he is unwilling to apologize for what he has done. While I would like to address the broader content of LaRose’s post in greater detail, I’ll leave that to AFP. You can find AFP’s reaction by clicking here. I hesitated writing this post. I did not want to put Jimmy LaRose in the spotlight and give him the attention I believe he probably seeks. However, I had to stand up to someone who took my words, falsely attributed them to someone else, and misled people about the intentions behind those words. Now that LaRose has established that he refuses to take the high-road by apologizing and setting the record straight, it is my great hope that he will make his future arguments on issues without using my material and in a way that promotes civil discussion and advances the profession. So, what do you think of LaRose’s actions? That’s what Michael Rosen says… What do you say? Thanks Mike for your thoughtful response to someone that is recognized as a “snake oil salesman” by anyone that is reputable in this profession. I hope he gets investigated and sued for defamation of character. I am going to report him to the FCC, it’s probably the only way I can get off his list. Linda, thank you for commenting and sharing your experience. While I received an invitation from NANOE to join its Board of Governors, I suspect I’m no longer welcome; NANOE Blocked me on Twitter today. I wish you luck as you try to get off their list. Michael, as always balanced and rational. Bernard, thank you for kind message. Your support means a great deal to me. I’m glad you wrote this, Michael. Thank you. I’m sure I’m just one of many to run sideways into the Nanoe machine. I spent an afternoon fending off countless calls, emails and other approaches. A definite NO THANKS to that. This is a serious issue – both the stealing of your work and the issue of harassment. Both deserve serious attention. Mary, thank you for your kind support. If good people take action rather than make excuses or embrace denial, we should be able to create safer conditions for nonprofit staff and volunteers. Raising lots of money is not enough. We can do both. Thank you for being part of the good fight! Michael, I am so grateful for allies like you in the fundraising world. In my 20+ years in fundraising, I have experienced a number of unpleasant and scary interactions with donor and each time, had to worry that by speaking up, I could lose my job because these influential and wealthy men were considered more important to the organization than I. And I have seen young colleagues experience worse. Thank you for using your platform to speak out. Tracy, thank you for your thoughtful message and for underscoring that sexual harassment (and worse) is indeed a problem. Important article on multiple levels. Thank you for writing! Amy, thank you for letting me know my post resonated with you. Much appreciated! I am glad you decided to blog/publish about this Michael. I remember being flattered and enticed by the first lines of my first NANOE email with an invitation to become a “Governor” because of my “subject matter expertise.” After reading further one realizes it is such a sham. Sadly, Mr. LaRose is simply following the Donald Trump playbook and getting some traction as he talks about “failed best practices” and tells the audience how bad everything is and how great we, along with his organization are…..In fact his website and logo pretty much look like a campaign, everything in red, white, and blue — the NANOE logo is a star with those three colors. Likely, his “counsel” suggested he refer your communications to “counsel” so he could get paid more! That’s special! Keith, thank you for letting me know about your experience. Not long ago, I received my invitation to join the NANOE Board of Governors, too. They haven’t officially rescinded that “opportunity,” but I’m guessing I’m no longer welcome; NANOE Blocked me on Twitter today. Oh well. Wow. What an exchange. As always, your advice is based on logical, sound reasoning. I hope this tempest resolves itself in an amicable manner that advances the profession. Steve, thank you for your support. Much appreciated! I have filed a complaint against Jimmy & his company with Mailchimp for his excessive spamming, even though I have never given him permission to mail me. Someone needs to take this guy down for good. He is nothing more than a sham & scammer. Karen, thank you for telling me about your situation involving LaRose. He has created a variety of for-profit and nonprofit organizations that tend to support each other. This makes it particularly difficult to challenge him. Most often, I would tend to ignore him so as not to give him further publicity. However, at times, it’s important to stand up to people. You’ve done the right thing by filing your complaint; I hope it works. Good article, Michael. Like you, I too was invited to join the NANOE board a few years ago. What is interesting is that after being in the business for over 38 years and being a member of CASE, AFP and AHP, I had never heard of his organization. I did my due diligence and decided to decline. I’ve never meet this Mr. LaRose person, however, based upon his actions towards you he is not a person I choose to know. Michael, I appreciate your support. Thank you! Michael – thank you for taking a stand against this nonsense. So sorry you have to deal with this stress. Amy, thank you for your support; it means a lot to me! I say you are right. I’m going to look into this more… Seems pretty damning. Not sure why someone would seem to plagerize so willingly. Jon, thank you for your message. If you discover anything interesting, please let me know. Michael… we must continue to fight against what can be construed as evil. Plagiarism, false representations, trickery – none of this has a place in philanthropy or fundraising. Thanks for your post! Beth, thank you for your thoughtful message of support. I greatly appreciate it! Plagerism in any form is weak, lazy, and wrong. I commend you for sticking to guns, Michael. Jory, thank you for your message. I appreciate your support. Plagiarism can be complicated, and there are gray areas. However, as you know, Jimmy LaRose admitted his deed while at the same time denying it. For good people who want to avoid accidental plagiarism, the website Plagiarism.org can help. The website provides a wealth of information and useful resources related to the subject. Wow! What an exchange. Michael, your comments are important and this study is important. I participated in the study, and felt it was very well done. What Jimmy LaRose did is awful and sleazy. Good for you for setting the record straight and calling him out on it. Theresa, thank you for your thoughtful message. Much appreciated! Wow. Your post has brought me up to speed on the harassment issue and the insidious nature of NANOE’s approach. I missed both this post and your earlier post about harassment in the profession, although somehow I did see JL’s post about “hating on” donors. I dismissed it as just crazy talk — now I feel it’s important to look at what JL and NANOE are doing and speak out against them. As much as I regret what this has put you through, I’m grateful for the light shone upon an ugly corner of our sector. I also really love your suggestions for the harassment policy, and will bring that forward in my charity. It’s an important conversation and your suggestions are bang on. Thanks so much. Jill, thank you for your comment. I’m glad I was able to provide some practical suggestions for your charity in addition to catching you up on the news. I wish you and your organization the best as you all review the organization’s harassment policy. Thanks for taking a stand, Michael. One of the many issues I have with NANOE concerns their relentless spamming. 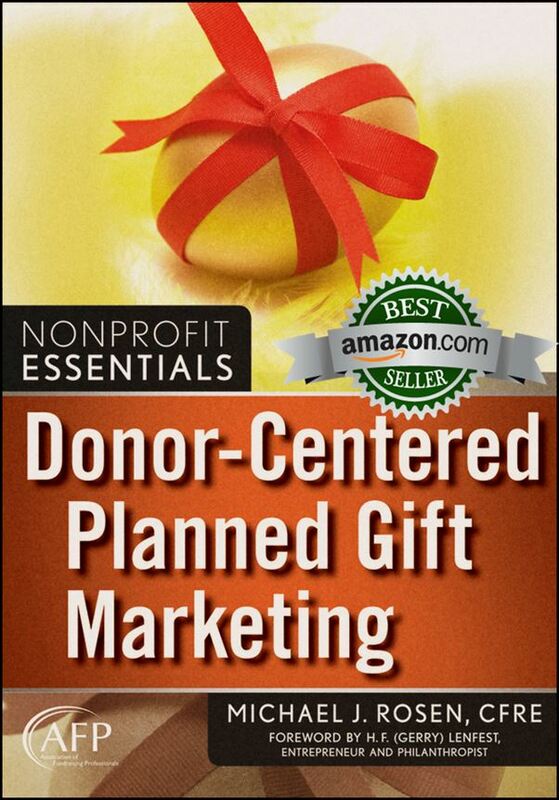 I endeavor to provide nonprofits with an understanding of permission-based marketing. They see crap like this – which DOESN’T constitute any kind of permission-based approach – and get confused. Pamela, thank you for sharing your thoughts. On the one hand, I didn’t want to give them oxygen. On the other hand, it was important to take a stand. Glad you feel the same.